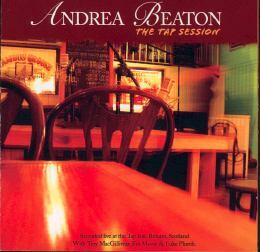 The Tap Session is Andrea's third CD - and her first live recording. A powerful player this CD won't disappoint Andrea's many fans. In a addition to some great fiddling there are lively duets with piper Finn Moore. Piano accompanimnet is by Troy MacGillivray.